Distributor Anime Limited has announced that the premiere will be accompanied by the opening of an exhibition dedicated to Hosoda in London's West End. The Works Of Mamoru Hosoda is the first exhibition dedicated to an anime director to come to the UK. 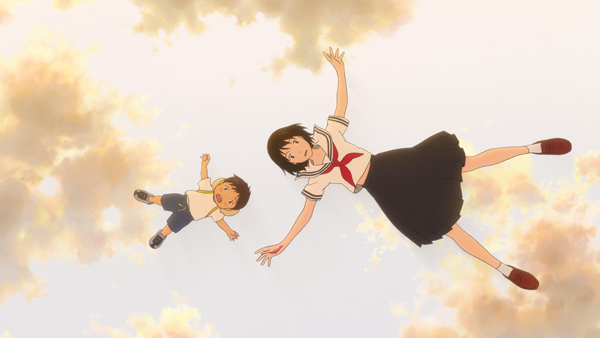 The exhibition will be "an immersive and interactive visual event experience" that will celebrate Hosoda's films from The Girl Who Leapt Through Time, right through to Mirai itself. It will run at Noho Studios, 46 Great Titchfield Street, from October 13 -20. It will also include a shop which will feature merchandise that has not been available in the UK before. Entry is free. "Mamoru Hosoda has had a huge impact in the UK ever since The Girl Who Leapt Through Time - we’re very honoured to be hosting the first exhibition of this kind to showcase his work to date. There's no better time to explore the works of this incredibly talented director, when Mirai has been welcomed as the Gala film for Family at the BFI London Film Festival." said Andrew Partridge, President of Anime Limited. Mirai will screen in UK and Irish cinemas on November 2 (subtitled) and November 4 (with English dub). GKIDS Films will release the film in the United States with Fathom Events Screenings on November 29, December 5 and 8, and a national release rolling out starting November 30.